The Senate will vote Tuesday on a resolution to change the chamber's rules so that non-Cabinet level and district court judicial nominations would face only two hours of floor debate rather than the existing 30 hours of debate before a final vote is held. That Republican-backed resolution needs 60 votes to pass and is almost certain to fail along party lines. 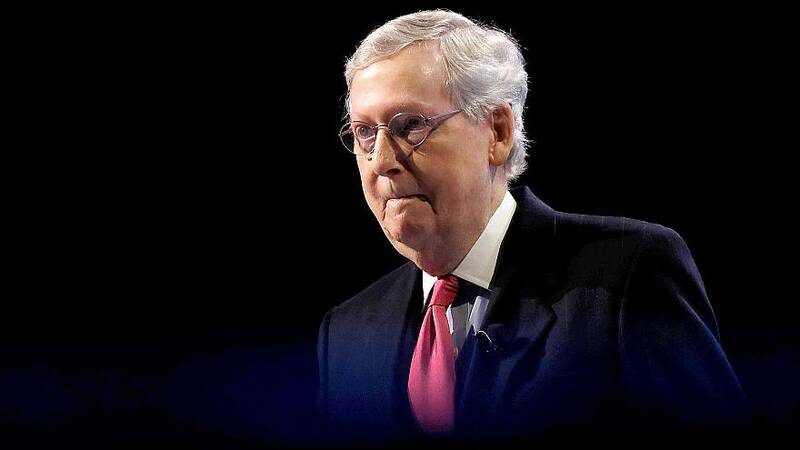 But Senate Majority Leader McConnell, R-Ky., plans to use Senate procedural tactics to change those rules by a simple majority vote as soon as Wednesday. "It is a resolution in search of a problem," Sen. Patrick Leahy, D-Vt., said on the Senate floor Tuesday. "It is an erosion of the Senate's responsibility — our sworn constitutional duty — to advise and consent to the President's nominations. It is a removal of one of the last guardrails for quality and bipartisanship in our nominations process. It is a short-sighted, partisan power grab."